Finlay Miller travelled to Spain’s Costa Del Sol to explore a coastline with more than 50 golf courses, sandy beaches, unbroken blue skies and classic course designs. The Costa Del Sol stretches along the south west coast of Spain where Europe meets Africa and the Atlantic Ocean thunders against the Mediterranean Sea. The area is renowned as a holiday destination, with many tourists attracted by the wonderful weather and beaches. 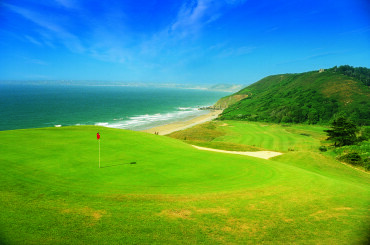 It is one of the continent’s most popular golfing destinations, with as many as 50 golf courses in the 185km of shoreline from Malaga to Algeciras. After landing in Malaga, I headed for the town of Sotogrande, a name synonymous with golf as it is home to the world-renowned Valderrama and Sotogrande courses. 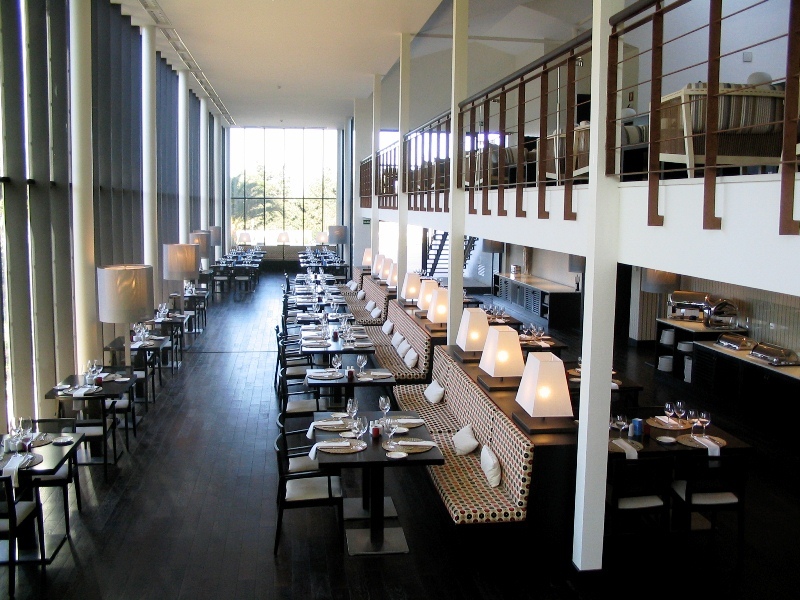 I was staying at the NH Sotogrande, a fabled hotel in the mid-sixties that has been restored to its former glory. The hotel has a minimalist design, with clean lines, lots of natural light and with its retro charm intact. My room was spacious and comfortable with views over the nearby La Canada Golf Course, which whetted my appetite for the golf that lay ahead. 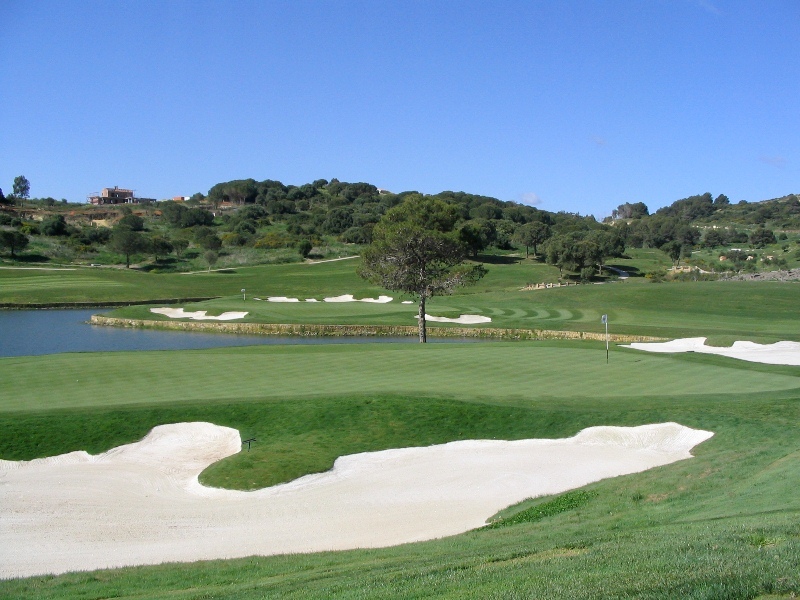 The first course I played was the Old Course of the San Roque Club, just a short drive South West of Sotogrande. 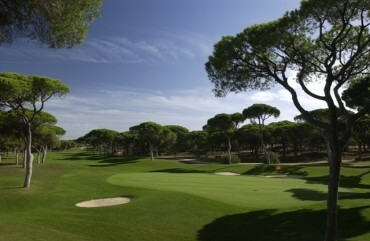 This Dave Thomas designed course was the venue of the Spanish Open in 2005 and 2006. My expectations for my first round in Andalucia were high and I wasn’t disappointed. 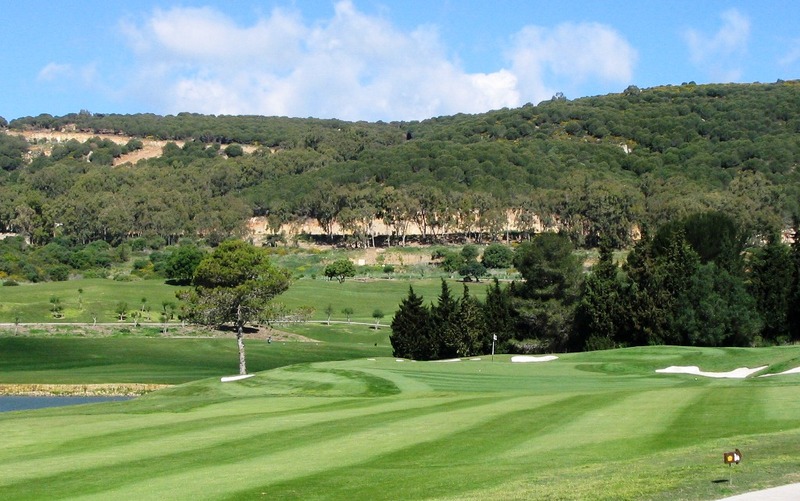 The club’s Old Course has been laid out on the gentle slopes above San Roque town giving panoramic views of the surrounding countryside. Carved through majestic cork oak trees, it has a wonderfully Spanish atmosphere, with gnarled branches and verdant greens of the canopy set against unbroken blue sky. The front nine has many excellent holes, including the dogleg 2nd that curves downhill to the right to an inviting green. This par four sets the tone perfectly for the round and from the 4th right through to the ninth, the course grabs your attention with one great hole after another. The par four 6th was a highlight. It demands an accurate tee shot short of water before a long iron into a raised green surrounded by trees. The back nine starts with a top class par five dogleg to the left. Again, the hole is bordered by cork oaks and these, added to a number of well designed bunkers, means you have to think your way to the distant green. The closing three holes are perhaps the most memorable on the back nine. The 16th is a testing par three slightly uphill to a long narrow green and is followed by a long par five that stretches through mounds and strategically placed fairway bunkers to a two tiered green protected short right by water. With these two holes safely negotiated, there lies in wait the infamous 18th. This long par four demands accuracy from start to finish, with water lining the left of the fairway and eating menacingly into the right side of the green – a great finishing hole. Apart from the design itself, the Old Course at San Roque was in wonderful condition, with smooth fast greens, well kept bunkers and unblemished fairways. It was a joy to play. The next course I was to visit was within the vicinity of Sotogrande and was more of an unknown quantity, but what a wonderful surprise it turned out to be. A new course designed by Cabell B. Robinson, La Reserva Club De Golf had only recently opened but I would never have guessed. On arrival it was obvious the course was in perfect condition. The opening hole at La Reserva is a straight par four with well designed bunkers and an attractive green – a good, if understated opener, but on the 2nd tee, however, the front nine opens up before you and you get an idea of the challenge that lies ahead. Set out in a small valley with wonderful changes in elevation, attractive contours and great scenery, the next eight holes weave back in forth in fantastic fashion. The par four second with its beautifully sculpted green overlooks a small lake and the par five fourth with its rolling fairway and treacherous green are highlights, but every hole on the front nine is a good one. The back nine heads out over the top of one of the valley sides and is even more impressive than the front side. The par five 11th is a heroic challenge with an expanse of fairway bunkers and a small green set into a hill, while the par fours 12 and 13 with their views of neighbouring Valderrama are as testing as they are beautiful. From the 1st to the 18th La Reserva is a great design but perhaps its most endearing quality is that it challenges without being too punitive, allowing players of all standards to have an enjoyable experience. 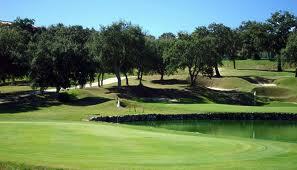 In and around Sotogrande there are several other courses worth visiting. Valderrama and Sotogrande speak for themselves, but the green fees reflect the prestige attached to playing these courses. A more affordable tee-time can be found at the Dave Thomas designed Almenara Golf, which is also highly rated. Further East towards the heart of the Costa Del Sol the list continues and with new and exciting layouts planned for the future, the area has become a hotbed for good golf. I also played at Santana Golf and Country Club near Fuengirol. Another Cabell B. Robinson designed layout, Santana has wide fairways and inviting greens, and I was looking forward to what promised to be a more relaxing layout, set amongst avacado, orange, lemon and olive trees. On the front nine my favourite holes were the short par three 2nd over water and the par five fourth, where your approach shot is fired into a green enclosed in tall trees. While on the back nine the par three 16th and par four 18th, both of which count water as their main defence, are beautiful holes that you could play all day and not get bored. As promised it was more relaxed round than at San Roque and La Reserva and while the course is maybe not quite as architecturally impressive, it was a very fun round in beautiful surroundings. 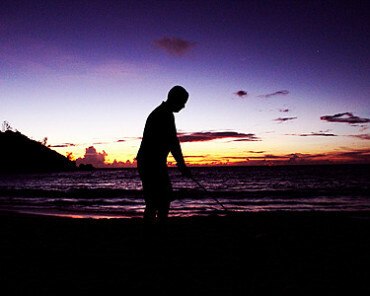 Next door to Santana you have La Cala, a resort with 54 holes of excellent golf. 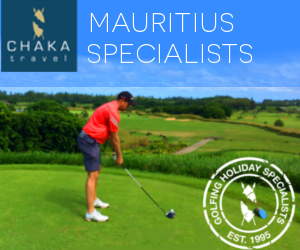 All three courses are quite different in character and offer a refreshing contrast for the visiting golfer. The North course is perhaps more difficult that the shorter layout of the South course but both demand accuracy and good club selection on the approach shots. The third course here, Campo Europa, plays in and around the River Ojen and there are plenty of water hazards to focus your attention. La Cala is also the location of the David Leadbetter Golf Academy in Spain and so if your swing is not quite on song there is help at hand. 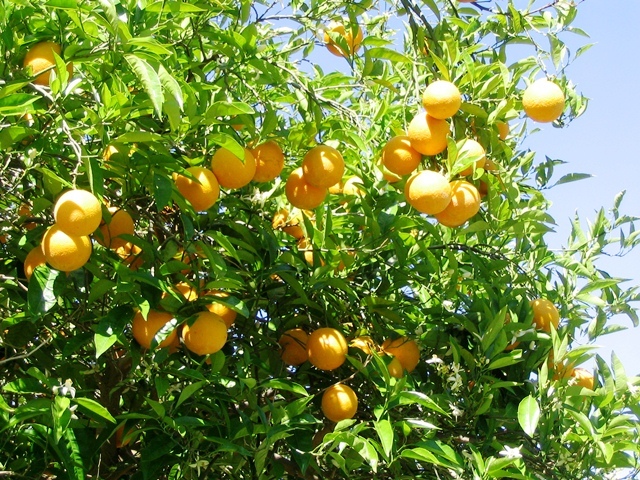 I only managed to visit a handful of the courses in this area but it was clear that all along the Costa Del Sol there are courses to enjoy and it would take several visits to sample the delights of every one. 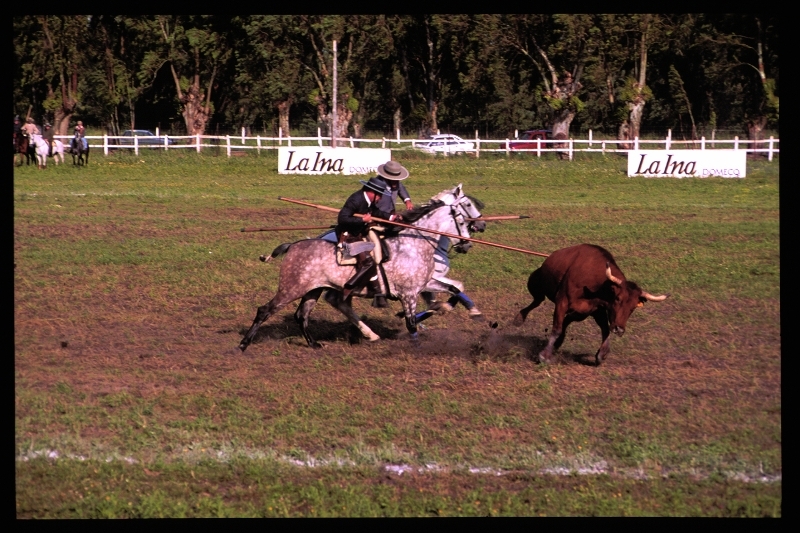 For those looking to see some of real Spain there is also much to savour in this area. Due to its strategic position, fertile soil and fantastic weather, Andalucia has attracted many civilisations across the centuries and thanks to this it has become a region of fascinating cultural diversity and history. 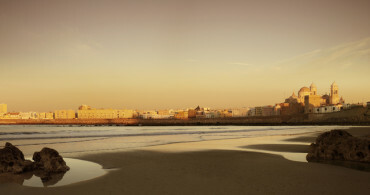 The Costa Del Sol is no different and you only need to scratch the surface to discover the undeniably Spanish culture. The food and wine are to be applauded, with a wide variety of restaurants serving delicious fresh seafood, local dishes and some excellent hams and cheeses. The clubhouses I visited also offered some excellent menus while the locally brewed San Miguel quenched the thirst perfectly. Par and Yardage: Par 72, 6721 yards. Par and Yardage: Par 72, 6460 yards. Room Prices: 99Euros to 280 Euros. Room Prices: Classic room for double occupancy in the High Season 300 Euros. The ancient village of Castellar de la Frontera is perched on a hilltop with views over the Guadarranque reservoir. The village is easiest reached from the C111 road that leaves the coast at San Roque, branching off to Castellar after just 10 kilometers. This historic fortress village is famous for its castle. This is Spain’s 6th most important city and has a number of interesting sights within its boundaries. Make sure you visit the Malaga Picasso Museum and the cathedral, the Alcazaba. Make time to take a day trip North to the vibrant city of Seville. Its two festivals Semana Santa (the week before Easter) and the Feria de Abril (two weeks after Easter Sunday) – are definitely worth taking in if you have the opportunity. Located in Pueblo Nuevo de Guadiaro a short drive from the NH Sotogrande this is an excellent Mediterranean restaurant. Located in Estacion de San Roque, this is another fine restaurant serving fantastic Spanish cuisine.